Park Avenue is Winter Park’s main street with shops and restaurants that cater to the affluent citizens of Orlando and beyond. What Palo Alto is to California, Winter Park is to Florida. While Palo Alto’s main street starts with Stanford University, Winter Park’s main street starts with Rollins College. While Rollins bookends the south end of Park Avenue, the Charles Hosmer Morse Museum of American Art bookends the north end of the Park Avenue strip. Every Friday night beginning on November 28th, 2014 and continuing until December 26th, 2014, the museum is offering free admission every Friday night from 4 pm until 8 pm. Come see the museums extensive collection of Louis Comfort Tiffany, who is known best for his work with stained glass (Tiffany Lamps). In addition to the free admission to the museum, there will also be live music during each event night. 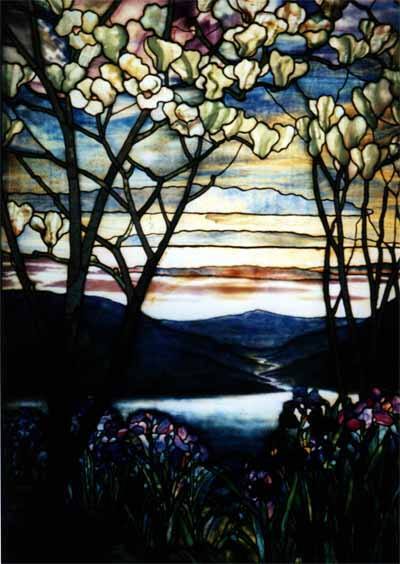 On Friday, December 12th, 2014 at 5:15 pm, the Morse will offer a docent tour through the galleries for the whole family to learn about Louis Comfort Tiffany and American art of the late 19th and early 20th centuries for a family tour. Click Here to learn more about the Charles Hosmer Morse Museum and all of the up-to-date information about the events at the musuem at their official site. This entry was posted in Events and tagged activities, arts, christmas, december, museums, november, winter park. Bookmark the permalink.